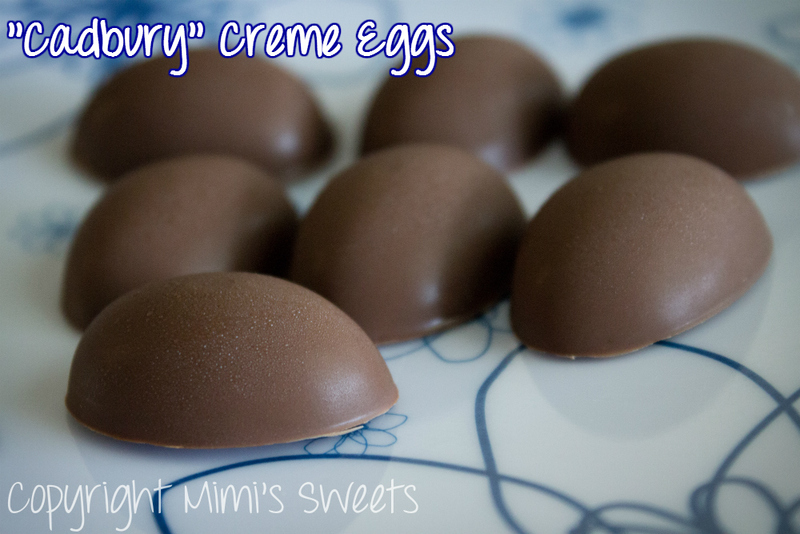 An even better tasting version of the classic Cadbury Creme Eggs! 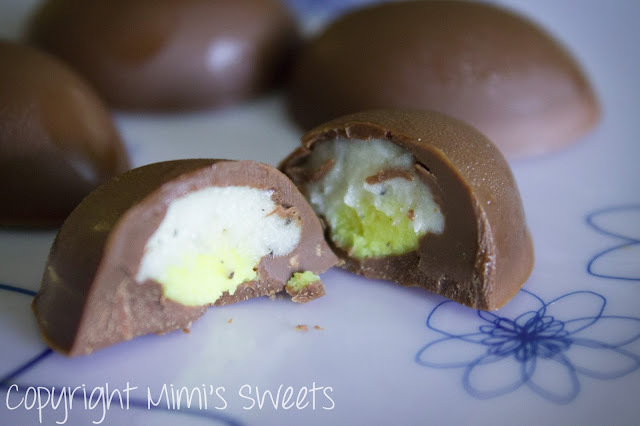 I have always been a huge fan of the Cadbury Creme Egg and was so very excited to make these for Easter this year! I did a bit of research, and the Cadbury Eggs in Canada and the UK are a little different that the ones you get here in the USA. From what I found, the eggs from Canada and UK have a richer and more sophisticated taste. You can check out a review here. I read a handful of other articles on the differences and decided to go with the richer flavored version when making them. Because of time restraints and for the love of a good challenge, I decided to hand make the golden syrup used in the recipe (it's sort of like Karo Syrup but thicker). An awesome plus to my hand making all of it was that it ensured that these delightful treats were completely gluten free! These were so very yummy, and bonus! They're healthier than the commercial version! I will most likely only officially offer these around the Easter season, but would be more than happy to take special orders year round! If you're in search of more Easter treats, you'll enjoy my Sitting Pretties! Thanks for stopping by, and I'm looking forward to working with you in the future for your sweet cravings!